Out on the slopes, your boots are your most important piece of equipment. Uli Seiler’s Masterfit Certified Boot Fitters are well known in the Bay Area for their ability to perfect the fit of your boots. “Big Box” retail stores are notorious for selling boots that are sized too big. This is much easier than helping a customer eliminate hot spots in a boot that is appropriately fit. A boot that is not fit properly can not only be painful, but can lead to serious injury. 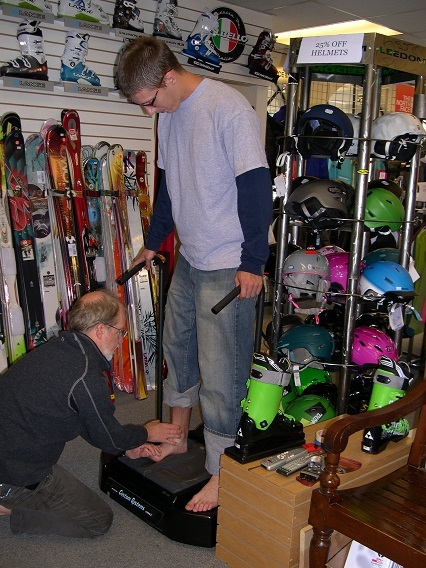 At Uli Seiler’s Ski and Tennis, our boot fitters are trained in the anatomy and biomechanics of the foot in order to evaluate your foot type and recommend the correct boot last and shape. 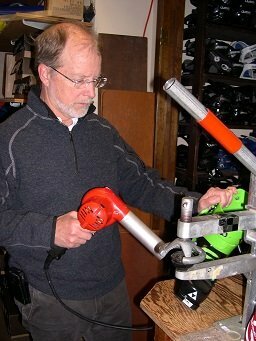 Modifications to the liner and plastic shells of a boot are the basics of boot fitting at Uli Seiler’s. It is with these modifications that a skier of any level can maximize comfort and performance. Many of our customers benefit from Custom Footbeds. Custom Insoles is one that is molded to fit the shape of the bottom of your foot. By supporting the arch, it is healthier for your foot. It stabilizes and supports the foot, makes for a positive edge set and allows the ski to turn more efficiently. It eliminates the need to over buckle your boot. Without a customized insole, the foot is very mobile in the boot and is easily fatigued.